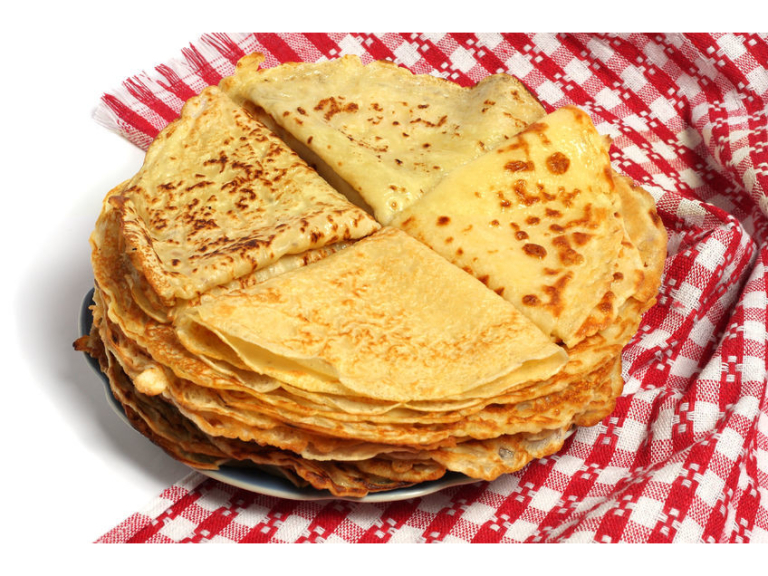 It’s Shrove Tuesday – better known as Pancake Day – which means there will be people flipping frying pans up and down the country. These days of course you can buy ready made mix – and even ready made pancakes – but nothing beats making your own from scratch. Sift the flour and salt into a bowl and make a well in the middle. Crack the eggs into the middle and add about 50ml of the milk and one tablespoon of the oil. Start to whisk from the centre, pulling the flour in as you go to make a thick batter. Once it is smooth, add a splash more milk to loosen the mixture, then as you beat, steadily pour in the rest of the milk. It should end up the thickness of single cream. Heat a pan over a medium heat and using kitchen town dipped in oil, wipe it over to prevent it sticking. Pour a ladle of mix into the middle and tilt the pan to spread it out. Remember – less is more and you can add a little extra if you don’t fill the bottom of the pan to the right thickness – and you can’t take it out again! If the pan is the right temperature then it should only take about 30 seconds for the pancake to cook on that side. Turning it gives you two options. Either use a fish slice to lift it from the pan and whip it over, or do the classic ‘flip’. To do this, make sure no part of the pancake is sticking to the pan and it moves easily if you shake the pan. Move the cake forward to the top edge is up at the edge of the frying pan. Quickly push the pan slightly downwards and away from you. A flick of the wrist tosses the pancake and bring the pan in a small circle back towards you to catch it by the leading edge. It takes practice – but won’t half impress the kids! Then serve with whatever topping you prefer, and enjoy!